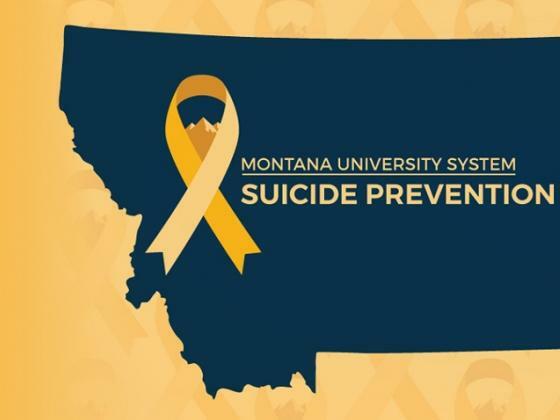 A suicide prevention task force told the Montana Board of Regents last week there’s been a significant increase in the use of mental health services, but the campuses don’t have the resources to meet the demand. Still, as Jackie Yamanaka reports the regents want to campuses to act. Now. The task force pointed out Montana already has the highest suicide rate in the nation. “That’s not a statistic we should be proud of,” said student Regent Levi Birky. He called on the Montana University System to act on the task force recommendations presented to the Regents. “We definitely have a responsibility to not allow these recommendations just to accrue dust on a shelf, but to see them implemented and put to action,” said Birky. MSU has been studying campus suicides since 2014. In 2016, the Bozeman campus held a statewide Summit on Suicide Prevention. MSU Dean of Students Matt Caires said they found a common thread among those who survived a suicide attempt: anxiety, depression, loneliness, and heartbreak. “And one of the most important things that we think we can do is to limit the means to lethality – rooftops, pills, and of course firearms,” said Caires. The task force presented several recommendations, including that each MUS campus have a licensed mental health clinician either on staff or readily available in the community. Brian Kasser, licensed Psychologist and the Outreach Counseling Services Coordinator at MSU, said a student in crisis can’t wait. “Research on those who’ve survived a suicide attempt shows that the time between decision and action was short. 71% made an attempt within 1 hour. 24% of those individuals attempted within 20 minutes and a quarter within 5 minutes,” he said. Not every campus has a licensed provider on staff, however, and those who do are understaffed. Miles Community College is one of the three campuses that doesn’t have a licensed provider on staff. MCC President Stacy Klippenstein says that will soon change. “In the meantime what we have done is both contracted with a local agency in town who we’ve been able to refer students to and also recently we’ve been able to contract with an individual that will come on campus at different points when we need that assistance and to provide some group counseling to students as well,” Klippenstein said. The task force also recommends awareness training for people on- and off-campus to recognize when a student is in crisis and then what to do and how to access help. This is an issue broader than the Montana university system. The health care system in the state is struggling with the lack of mental health professionals. Various initiatives are underway to train primary care providers on helping patients in this area.